Mac "The Snake" Hannon has come back to Kansas for one thing and one thing only... to help his friend Lance get ready for a big fight. But when Lance's spunky neighbor, Gayle Matthews, comes shooting into his life it's awfully hard to resist the free-spirited woman. Mac left Kansas after a natural disaster took everything he held dear away but somehow Gayle manages to crack the shell he's built around himself, to open him up and show him that it's okay to live again. Just when it seems like the pair might have a chance at something real he discovers that her life's work revolves around the very thing that snatched his life out from under him. If the pair are ever going to have a future they'll have to confront the past head on. I so love a surly hero and Mac is as curmudgeonly as they come. He's faced the worst life can throw at him and come out the worse for it. In contrast, Gayle, blazes into his life this fireball of energy and confidence that just dazzles. From the start I loved these two and couldn't wait to see them come together. (And lemme tell ya... when they get to know one another in the biblical sense it's smokin'). But for me, what really made the story strong was the amount of research Niles put into the storm chasing. Every scene involving that aspect of the storyline was terrifyingly real. I was edge-of-my-seat the whole time. I actually jumped into this not having read the previous two Love to the Extreme series books so I feel like it can stand alone very well and it will be easy to go back and read the others. 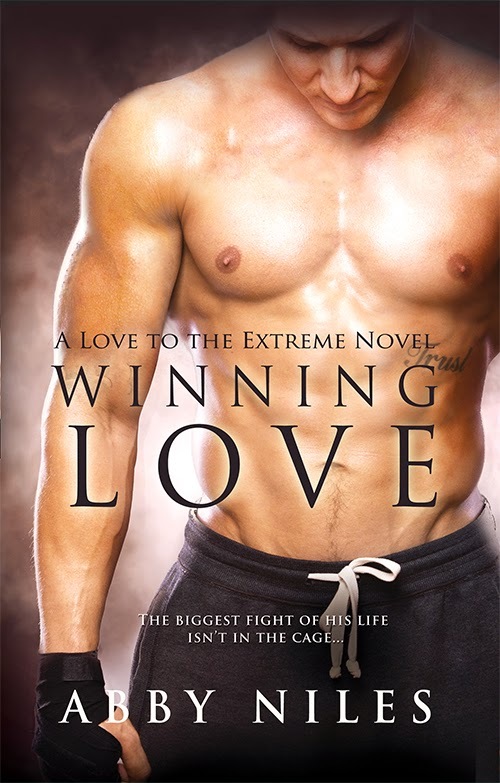 I was able to guess and later confirm that a couple of characters who have a small part toward the latter half of the story are the heroes from EXTREME LOVE and FIGHTING LOVE. If you enjoy romances where the hero or heroine have been through some very painful experiences that have made it difficult to fall in love again WINNING LOVE is going to be catnip to your soul. Both Mac and Gayle are scarred and have dealt with their pasts in different ways but together they grow and it's deliciously rewarding reading.